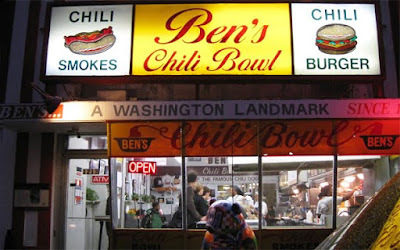 WASHINGTON — Ben Ali, the founder of Washington's famous Ben's Chili Bowl restaurant, has died. He was 82. Restaurant manager Maurice Harcum says Ali died of natural causes Wednesday night at his home. The restaurant was founded in 1958 on U Street, then known as "Black Broadway" for drawing performers including Duke Ellington, Ella Fitzgerald and Nat King Cole.